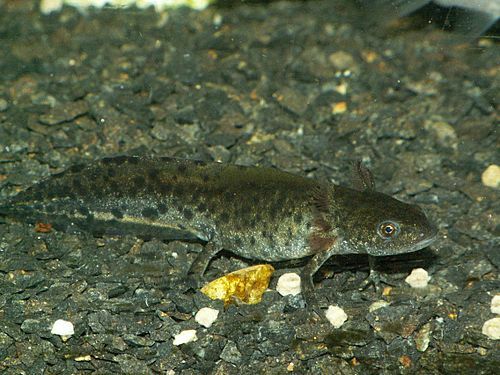 Newts are small amphibians, a kind of salamander. They are found in North America, Europe, and North Asia. 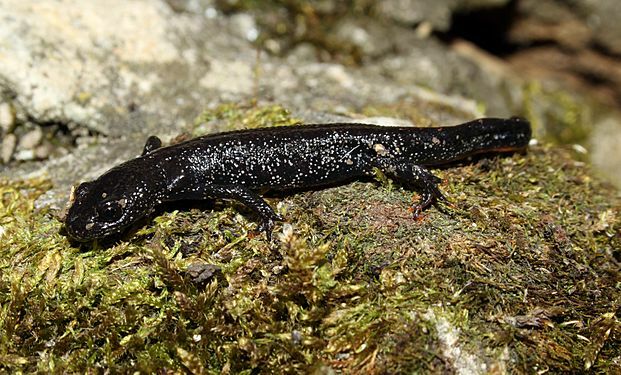 Are newts a related group? Their mother lays eggs and leaves them. Tadpoles are born from those eggs. 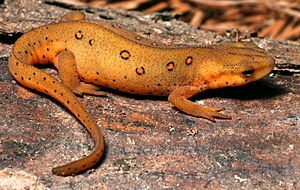 A red-spotted newt (eft stage) showing bright aposematic colouration which warns predators of its highly toxic skin. Newt Facts for Kids. Kiddle Encyclopedia.